Last year, I made a dataset that merged the work of education researchers Gary Miron and Charisse Gulosino with a school database from the US Department of Education. The dataset was for an academic paper on for-profit charter management organizations (CMOs) that is still undergoing peer review. I used the Miron-Gulosino directory of CMOs as a base, made some changes on my own, and then combined this directory with the federal data to analyze patterns in school spending. My co-author, Bruce Baker, made the graph above with my dataset. Unfortunately, while most of the state-level datasets used for this pie chart were correct, one -- Illinois -- was not. At the risk of going way into the weeds, what happened was that several CMOs in the Chicago area were over-counted, so that the total number of students enrolled by the CMO were multiplied by the number of different campuses in the Miron-Gulosino directory. This is entirely my mistake: Bruce and Gary and Charisse had nothing to do with it. I apologize to them for misrepresenting their work, and I apologize to all of you for missing the error. As you'll notice, the shares of students enrolled in Chicago-area charter schools -- Noble, UNO, Distinctive, etc. -- are way lower. Nobel's own annual report for 2011-12 put their enrollment at "more than 6,300," which means they and others move into the "less than 10K" category. At least a handful of studies on high profile charter operators have yielded substantive, positive results, at least with respect to growth on narrowly measured student achievement outcomes, and in some cases on college acceptance/matriculation. Of course, even these studies, like the Mathematica/KIPP studies, or Fryer studies tend to totally ignore key features of the models that may be contributing to those outcomes – like money, smaller classes, more time and teacher pay to support that time. But here’s the bigger picture – In all of this time that we’ve been allowing and inducing charter school growth, while studying KIPPs and others to validate positive effects – we’ve paid far too little attention to the actual distribution of providers out there. Most charter schools aren’t KIPP (whether we like KIPP or their educational model/practices). And most charter schools across the country aren’t like NYC’s (or Boston’s) other major charter operators. There has been some increased scrutiny of K12's virtual charter schools in the last few of years (and the news has not been good). National Heritage has received some press due to its role in Detroit's charter school expansion and its schools in New York. The Miami Herald did some stellar reporting on Academica a few years ago, but there hasn't been much following up. These few stories, however, are the exception; overall, there has not been much in-depth reporting on the results many charter operators are getting. In the academic literature, KIPP has been the focus of quite a few econometric-based studies. I have my issues with some of the methodologies and reporting of results (I'll have more to say about this in the coming year), but at least the network has been assessed by serious researchers. At least we have some sense of the scope of the impact KIPP has on its students. Further, and to their credit, the CREDO folks at Stanford have done some work on assessing the impact of CMOs on student outcomes. Again, I've got some serious issues with their methodologies -- but at least they have looked (a bit) into whether CMOs impact student learning differently. Unfortunately, it's not nearly enough. We know next to nothing about many of the charters that enroll less than 10,000 students -- and that's 80 percent of the sector. We know a bit more about some of the major CMOs, but it's still not much. 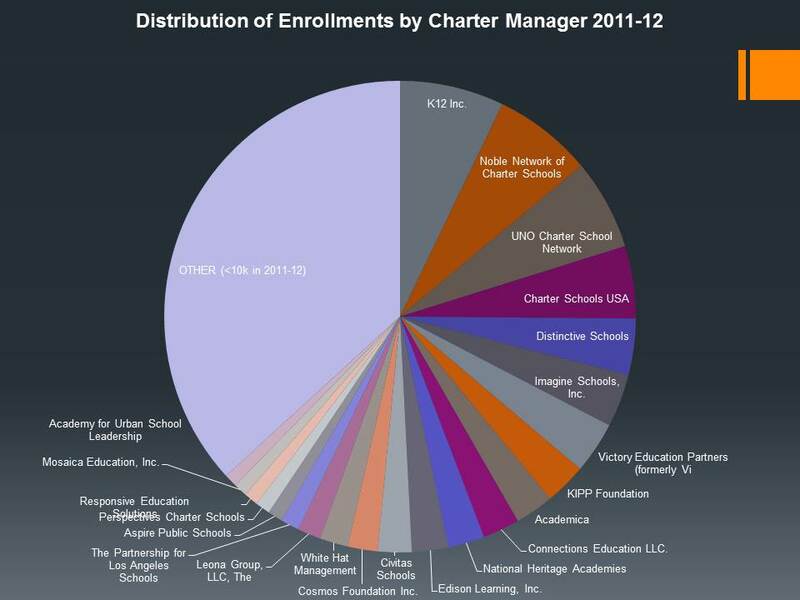 By my reckoning, KIPP had a 1.7 percent share of the charter sector in 2011-12; Academica had a 1.5 percent share. Keep this in mind as you head over to the National Bureau of Economic Research, where many of the "lottery studies" on KIPP have been published as working papers. Do a search on KIPP; then do a search on Academica. Guess who has been getting all of the economists' attention? I don't blame NBER researchers for not studying the other CMOs as much as they've studied KIPP; maybe they can't get the data or the cooperation they need. But we need to stop for a moment before we allow charter proliferation -- with all of its pernicious effects on district public schools -- to continue so we can assess what's really going on. We just don't know enough about the vast majority of charter operators to justify the massive expansions taking place in the sector. And that includes the Gulen-linked charter schools -- I'll get to that next. Until then, let me again apologize for my error. * The terms "Charter Management Organization" (CMO) and "Educational Management Organization" (EMO) have had somewhat different meanings for different researchers over the years. But I find that the two terms are largely interchangeable these days. Also: the numbers I report here are somewhat different from those in Miron-Gulosino for a couple of reasons. First, I added and/or subtracted schools based on whether I could link them to federal data or not. Next, there were a substantial number of schools in Miron-Gulosino that were duplicates, listed as being managed by two EMOs. I had to choose one or the other (not doing that is what led to the error in Chicago schools). I made the best determination I could; on my last build (on which the above graph is based), I switched a few of the "second" EMOs to the "first" position based on some further research. @alexanderrusso If you read "Reign of Error," you will find a chapter on the importance of desegregation. How can you judge without reading? 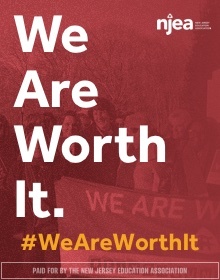 But the wounds caused by centuries of slavery, segregation, and discrimination cannot be healed by testing, standards, accountability, merit pay, and choice. Even if test scores go up in a public or charter school, the structural inequity of society and systematic inequities in our schools remain undisturbed. For every “miracle” school celebrated by the media, there are scores of “Dumpster schools,” where the low-performing students are unceremoniously hidden away. This is not school reform, nor is it social reform. It is social neglect. It is a purposeful abandonment of public responsibility to address deep-seated problems that only public policy can overcome. Over-testing & under-funding are fine but they're not cops out of schools, classroom bias training, etc. One reason (among many) that Twitter wars are dumb is that most people's view of the world can't be condensed accurately into 140 characters. But I don't think I'm mischaracterizing Russo here in saying that he seems to believe over-testing and under-funding, while perhaps important issues, are not the totality of the conversation we should be having about race, class, and our public schools. I agree. Dismantling the school-to-prison pipeline certainly requires de-criminalizing our students, which means putting in place structures and procedures that maintain order in schools without denying students -- particularly students of color -- agency. Classroom teachers most certainly need to reflect on their practice and improve when it comes to issues of race (and class and gender and creed and sexual orientation). I know it's sometimes hard to have those conversations; I'll admit I've had times, as a straight, white, middle-class man, where I've been clueless about my privilege until someone pointed it out to me, and I've had to acknowledge the effects of that privilege on my work as a teacher. So there's lots of work to do here -- and we haven't even touched on things like the racial composition of school faculty, or disparities in school governance, or racial and other bias in curricula, or a dozen other issues. But let's note how Russo framed his tweet: apparently, over-testing and under-funding is one set of issues, and more immediate concerns about social justice in schools is another. I, however, would argue these issues are not separate; to the contrary, they are tightly intertwined. Because there will be no sustained social justice in our schools in the absence of adequate and equitable funding. The first reason why is obvious: you can't claim our school system is just when students are receiving fundamentally unequal educations due to resource disparities. As I noted recently, one of my great frustrations with the charter school sector (or, more accurately, a large part of it) is their continuing insistence that the "choices" they are offering their students and families are somehow equivalent to the "choices" suburban families have when enrolling the children in well-funded public district schools. There is no equivalence. Even the highest-flying charters cannot match the offerings, atmosphere, and resources of more affluent suburban schools. And the students know this -- they know the system is unequal. They know their "choice" -- underfunded, crumbling, neglected public district schools or "no excuses" charter schools -- is not the "choice" kids in the leafy 'burbs get. Research has clearly shown that schools serving more at-risk students need more resources to achieve comparable results. And yet even progressively funded states, like New Jersey, have reneged on their commitments to fully fund urban public schools -- even though that commitment is probably still not enough to provide an adequate education for those students. If they had more money to improve discipline in their schools, administrators would spend it on counselors, staff training, conflict-resolution programs, support services and rehabilitation services, rather than security, a study released Monday reported. Let me be clear: I don't think budget cuts should be used as an excuse for schools to not examine their disciplinary practices. I think administrators and teachers must improve in making their schools places of true social justice, even when short-sighted politicians refuse to do their jobs and adequately fund schools. I also don't believe adequate funding, by itself, is enough to overcome the systemic inequality built into our public schools. And even desegregation, by itself, isn't enough -- we have too many examples of discriminatory practices within more integrated schools to ever be sanguine about this. But expecting a sustained, meaningful change in our schools' social justice outcomes in the absence of adequate funding and the presence of a punitive, testing-driven curriculum is not realistic. I'm going to grant Alexander Russo a courtesy that he refuses to grant Diane Ravitch: I believe he wants the best for all of our students, especially those who are victims of systemic racism and economic disadvantage. But I think his framing needs to change. Inadequate funding and over-testing are part and parcel of social injustice in our schools. They must be part of any larger program of establishing our schools as places where our best American ideals are realized. Last night, at the Republican National Convention, the candidate's son took the stage to engage in some good old fashioned teacher bashing. The crowd, naturally contemptuous of anyone who might be complicit in teaching the nation's youth how to think critically, ate it all up. Look carefully and you'll see Chris Christie, our country's foremost teacher basher, standing near the front of the crowd, egging Don Trump, Jr. on as he blamed America's education woes on those hated teachers and their unions. (7:25) The other party gave us public schools that far too often fail our students, especially those who have no options. Growing up, my siblings and I, we were truly fortunate to have choices and options that others don't have. We want all Americans to have those same opportunities. Our schools used to be an elevator to the middle class. Now, they're stalled on the ground floor. They're like Soviet era department stores that are run for the benefit of the clerks and not the customers. For the teachers and the administrators and not the students. You know why other countries do better on K through 12? * They let parents choose where to send their own children to school. That's called competition. It's called the free market. And it's what the other party fears. They fear it because they're more concerned about protecting the jobs of tenured teachers than serving the students in desperate need of a good education. So where did the Trump kids go to school? The Hill School is on a beautiful campus in Pottstown, PA.
Advanced Placement subjects offered: 28. Each college adviser has approximately 35-40 advisees. College advisers are assigned during the winter term of the fifth form (junior) year. The Hill has 72 teaching faculty members; 71% hold or are working toward advanced degrees. Nearly all reside in dormitories serving as dorm parents, or in homes on campus. Students will have the opportunity to take several new academic courses, including Engineering 1, the first of three progressive, year-long courses in engineering and robotics; the Quadrivium Capstone, which combines math, science, engineering, and technology into a culminating experience for The Hill’s new interdisciplinary science curriculum; and AP Economics and Calculus courses that will use college-prep pedagogies by combining large lecture format with smaller discussions in an effort to replicate the most common college model. Additional new or significantly revised courses include Introduction to Web Development, Speech 2, Advanced Music Technology, Advanced Latin and Greek Seminar, Creative Writing, World History, Arabic 2, and AP Environmental Science. We offer 29 interscholastic sports programs; 3 club sports; 9 instrumental and vocal ensembles; and 3 theatrical productions per year. As of July 2015, The Hill School's endowment was approximately $155 million. The Hill's campus is more than 200 acres, and includes two new artificial turf fields, a new 8-lane track, and 11 new faculty homes. Keeping in mind that $155 million endowment means tuition does not fully cover the costs of educating a Hill student, what is the tuition? For the 2016-17 school year, the annual tuition is $55,660 for boarding students and $38,400 for day students. 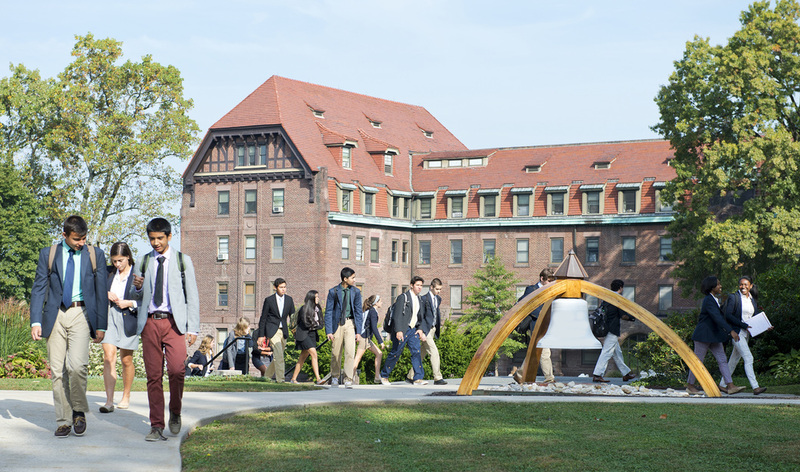 For boarders, the tuition charges cover all instruction, room and board, on-campus events, health services at the Health Center, and some athletic equipment. The charges for day students cover instruction and on-campus events, as well as lunch on every day except Sunday. Students must pay for their textbooks and supplies. Some elective courses, athletic activities, music instruction, and other programs also may require additional fees. The Admission Office can supply detailed information on all costs associated with an education at The Hill. Let's simply use day student tuition: If Donald Trump, Jr. really wants "all Americans to have those same opportunities" he had, every child in the United States would go to a school that was funded at $40K a year per pupil. That, by the way, is given a labor cost similar to the Pottstown labor market, and including all the extras Hill faculty get like free housing. Remember also that Hill is a competitive admissions school, so they don't have to worry about the increased costs for educating children who are at-risk or Limited English Proficient or who have special education needs. Just for a little context: national per pupil spending was $10,700 in 2013. New York City spent $20,331; Chicago, $12,284; Los Angeles, $10,657. Again, those figures are unadjusted for labor market costs or student characteristics. Imagine how much more it would cost in these big, expensive cities to provide every child, no matter their need, with a Hill-like education. As I've pointed out many times before, school choice advocates love to pretend that urban charter schools (often run by for-profit managers) or low-spending voucher schools are somehow equivalent to elite private schools like Hill. The comparison is absurd on its face. It's nice to see that Donald Trump, Jr. is grateful for his privileged upbringing. But Trump, Jr.'s gratuitous swipes at teachers while pretending he and his father support giving all American children an education equivalent to his is just about as obnoxious as it gets. 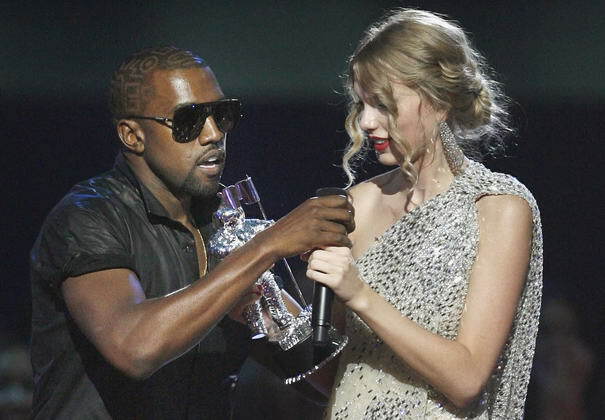 Now, I did promise I had something to say about Hillary Clinton and school funding. Let me be clear so you know just were I stand: Donald Trump is to completely unfit to serve as president, there is much I like about Clinton, and I will, of course, vote for her this fall (frankly, I don't see how anyone sane could ever do otherwise). Unfortunately, like far too many Democrats, Hillary Clinton is far too accepting of the mantra of "choice," and not nearly motivated enough to address the serious issues this country has with school funding inequity. Below, for example, is her recent speech before the American Federation of Teachers. I think Clinton was spot on in making Philando Castile, police reform, and violence against police the first focus in her speech (although it's clear we need to hear a lot more from her, with specifics, as to what she intends to do about it). I'm glad to hear her say to teachers: "We ask so much of you and we don't give you enough in return." I'm glad to hear her speak about raising teacher wages and forgiving student debt for teachers after 10 years. (18:40) I used to have what I called the "Chelsea Test." Now I've got the "Charlotte Test." And you know that test is pretty simple: would I want my daughter and now my granddaughter, and soon my grandson, to go to school here? I'll tell you what, I have walked into a lot of schools where I said: "Boy, would I be happy to have the most important child in the world to me attend here." But I've also walked into schools where literally the building is falling down. Where you can see the holes in the ceiling, where you can see the mold, where you walk into a library and there's not a single book, and there certainly is not a computer. We can't tolerate that. We can't let any one of America's precious children, I don't care who they are, attend a school that shows we don't care about them. And that's why we are not going to go in the direction of letting people on the outside foist for-profit schools on our kids. We are going to continue to oppose vouchers that drain resources from public schools and undermine their ability to provide the education our children deserve. Where there are public charter schools we will learn from them. But what we're interested in is making sure that every child in our country has the chance to attend a great public school. And I believe part of that rests on working together to find the right balance on testing. Wait, what? You were just talking about school funding; now you've pivoted to testing. Where was the plan to get resources to schools that desperately need them? Look, I am quite sympathetic to the notion that our students are over-tested -- especially when the tests themselves are normative instruments that inevitably show at least some students must be "failing." But Clinton was right at the place where she should have addressed directly the serious inadequacy and inequality found in our current school funding system... and she bailed. Where was Hillary Clinton's direct call to address inadequate and inequitable school funding? Especially given that Clinton's own test -- whether a school could compare with her own child's education -- is predicated on judging how much a school spends per pupil? Don't believe me? Let's ask again: where did Chelsea Clinton go to school? Yes, the Clinton and Obama children all famously enrolled at Sidwell Friends. Again: what's the tuition? Well, for that kind of dough, the lunch better damn well be hot. 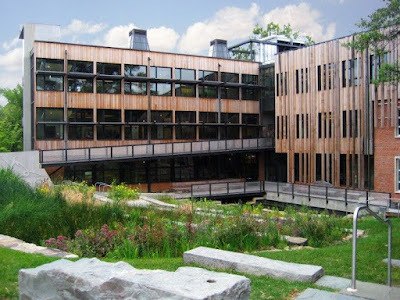 As with Hill, Sidwell Friends has a large endowment: $44 million as of 2011. Which means, again, tuition only pays for part of the per pupil expenditures. For contrast, the DC Public Schools -- located in an extremely expensive labor market and, again, serving many children with the expensive educational needs that Sidwell's students do not have -- spends $17,953 per pupil. Give Clinton this: she is at least willing to recognize that we have too many schools that are brutally, inequitably underfunded. 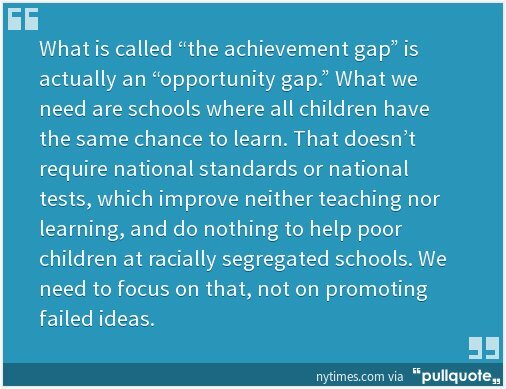 But stopping vouchers and for-profit charter schools isn't going to solve the problem by itself. "Learning" from ostensibly nonprofit charters certainly isn't going to solve the problem -- especially since many of those schools outspend their host districts. If Hillary Clinton really wants an education for all children equivalent to her own daughter's it's going to require a massive infusion of funds into our public schools. Is she for this? I'm pointing out Clinton's and Trump's personal hypocrisy here because they are the two current candidates for president and the spotlight is obviously on them for the next several months. But the phenomenon of powerful, prominent people who are lukewarm, at best, on equitable and adequate funding for public schools, yet who send their own children to extremely high-spending private schools, is quite pervasive. Barack Obama's children go to Sidwell Friends. Arne Duncan's children go to the Chicago Lab School. Chris Christie's son went to Delbarton. All spend way more than their states' public, district schools. All serve far fewer children who are at-risk, LEP, or have expensive special education needs. All also eschew the test-and-punish prescriptions loved by so many "reformers." It is hypocritical for any prominent politician to downplay or dispute outright the need for adequate and equitable funding in our public schools while simultaneously sending their own children to high-spending private schools with small class sizes, highly compensated faculty with advanced degrees, remarkable facilities, and a broad curriculum with many extra-curricular activities. We have a long way to go in this election, and we'll be hearing debates about many things. I certainly won't be voting solely on the basis of the candidate's school funding policies - that would be nuts. But let's get this on the table: neither seems particularly interested in tackling the disparities and inadequacies in public school funding head-on. And that's a problem -- especially when, by their own actions with their own children, they've acknowledged just how important school funding is in providing students with a quality education. Sidwell Friends Middle School (photo credit). * A quick aside on comparing America's educational outcomes to the rest of the world: as Bruce Baker and I note in this report, the United States is just about where you'd expect on international test scores, given our rates of child poverty and how much we spend on education. I'll also note that what other countries call "school choice" is far different from the voucher and charter system growing in the US, and there are serious concerns about how choice affects segregation even in ethnically homogeneous countries -- but we'll save that discussion for another time. 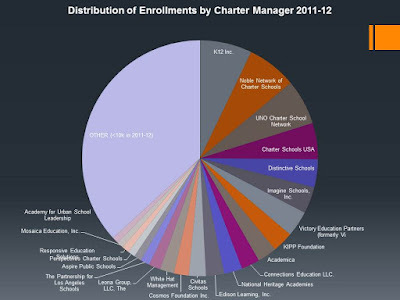 UPDATE: I changed the pie chart for this post, based on a data correction for charter management organization (CMO) shares. See here for the details. This week's attempted coup in Turkey will inevitably turn the spotlight on Fethullah Gulen -- the primary political rival of Turkish President Erdogan -- who lives in seclusion in Pennsylvania. Gulen is linked to a network of over 160 charter schools operating across the country, including several in New Jersey that Governor Chris Christie has recently praised. I've written several pieces about Christie's love affair with Gulen-linked charters here in New Jersey -- see here, here, and here. Even though I've looked at these schools closely, I won't claim I've exhaustively researched the entire Gulen movement, otherwise known as Hizmet, and its connections to US charter schools. Still, from what I have read, it's clear that there certainly is a network of charters connected to Gulen. The proliferation of these charter schools has been reported on by CBS News, The Atlantic, The New York Times, and The Wall St. Journal. This is hardly tinfoil hat territory. - The charters linked to Gulen generally do not express their connections openly. While Hizmet is clearly a religious movement, there is no indication the charters ever proselytize. Charter leaders may express their admiration for Gulen, but they do not, so far as I've ever seen, admit to taking direction directly from him when it comes to the administration of the charters. - This said, there is at least an informal network that binds these charters together, and that network is aligned with Hizmet. The website Gulen Charter Schools has documented, in great detail, the structure of this network, which includes not only the charters themselves but also related contractors. - These schools employ staffs that consist of large numbers of Turkish nationals, although not exclusively. There are many reports that the schools use H1-B visas to bring teachers into the US from Turkey; however, there appears to be no definitive documentation of just how many charter staff members in the network have entered the US through this channel. - There are also reports of staff members giving kickbacks on their salaries and income tax refunds to their employers. Again, however, we don't have documentation of how widespread this practice may be; further, the allegation has not yet had the chance to be held up in court. - Federal authorities have raided several Gulen-linked charter schools and continue investigating the schools' relationships with their contractors. Again, however, no charges have as of yet been filed; consequently, no allegations have been held up in court. - A USA Today investigation found that Gulen-linked organizations paid for Congressional members and staff to travel to Turkey at least 214 times. Expenses total at least $800,000, but that figure is likely understated because it does not include in-country expenses. Given what's just happened, this lack of transparency is a real problem for our country's national security. If, in fact, Hizmet was one of the driving forces behind the attempted coup, the United States may well be complicit in allowing a charter network to grow in this country that provided de facto support for the attempted overthrow of one of our NATO allies' governments. I don't have any expertise in Turkish politics. By most accounts, Erdogan is not a friend of democracy and freedom of the press, and that's very troubling. And Gulen denies any involvement with the coup attempt, even though Erdogan is now saying the US risks its continuing alliance with Turkey if it continues to harbor him. At this point, we must ask: Has it been in America's best geopolitical interest to prop up Erdogan's primary political foe by allowing an aligned network of charter schools to grow across the country? Has the risk been worth what are, at best, marginal gains in test scores for student populations that, at least here in New Jersey, look nothing like the populations of their hosting public school districts? Once again, this is a graph from data I compiled based on work by Gary Miron and Charisse Gulosino. Yes, economists have studied the outcomes for charter chains like KIPP fairly extensively. But what do we about all the others? Who are they aligned with? Who are their contractors? Who do they hire to teach? What networks may operate behind the scenes of these schools? My quick tabulation shows the Gulen-linked Cosmos Foundation (since renamed Harmony Public Schools) controlled 18.5 percent of the total enrollment of Texas charter school students in 2011-12. * That's nearly 20,000 students -- each a source of taxpayer funds that go... where, exactly? Do we really know? Shouldn't we care? Look, I won't pretend we haven't had problems -- in some cases, big problems -- with fiscal opacity in public district schools. But charter schools, because they are not state actors, are not subject to the same standards of transparency as public district schools. Once the money flows past the non-profit shell of a charter school and to its aligned management organization or property lease holder, all bets are off. We are now seeing a very real and very serious consequence of this lack of transparency. It's not at all an exaggeration to say our national security interests may have been compromised by allowing this network to flourish within our borders -- and, again, for what? 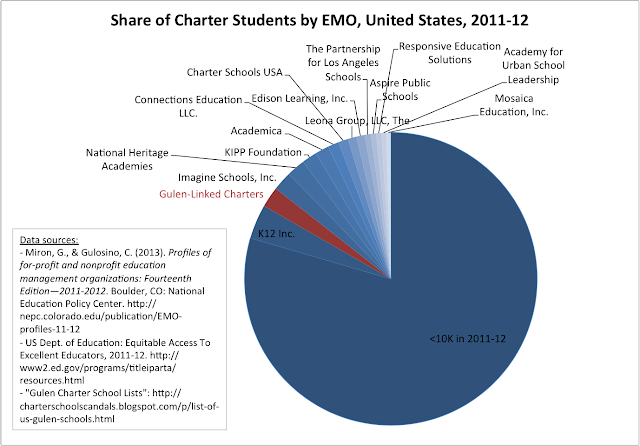 It's well past time to clean up the charter school sector. Standards of transparency and accountability have got to become much tougher. Americans have every right to know who, exactly, is running their schools and under what circumstances. If the Turkish coup and the growth of Gulen-linked charter schools teaches us anything, it's that the consequences for not properly regulating the charter sector are potentially serious and far-ranging. One more thing: I've noticed some rumblings on social media that criticism of Gulen-linked charter schools might be motivated by Islamophobia. I obviously can't speak for every critic, but that strikes me as far too facile. The problem with Gulen-linked charter schools isn't about the particular religion Hizmet subscribes to; its about the total lack of transparency in these schools' management. The Gulen movement is now front and center on the world stage. The leader of one of our most important allies has accused the movement of supporting a military coup. And that movement is clearly linked to a substantial number of charter schools in the United States, which are supported by taxpayers' monies. Is anyone seriously prepared to suggest being concerned about this is somehow tantamount to racism? ADDING: I have not yet seen Killing Ed, but it looks fascinating. Why are we relying on independent filmmakers to investigate this stuff? Why haven't the state and federal agencies in charge of charter school regulation been looking into this before allowing charter schools to flourish nearly unchecked? So Gulen was involved in founding the schools, except he wasn't. Civil Rights Data Collection, 2011-12. Folks, I've had some real problems with Blogspot lately. For some reason, this post disappeared, and I can't figure out why. It's troubling because if I can't count on this remaining a stable platform, seven years of work is in jeopardy. Luckily, Rosi Efthim at Blue Jersey had cross-posted this post, so I recovered what I could and moved it here. But I seem to have lost the links to graphics, and the formatting is messed up. I'll try to fix them soon. I know I swore off wasting my time (and yours) criticizing reformy edu-bloggers. But I've been watching a back-and-forth on social media for the past few days that is such a good example of how destructive the charter cheerleading industry has become (fueled with an insane amount of money from ideological foundations) that I have no choice but to comment. This all started on Tuesday, July 5, when NJ Spotlight (full disclosure -- I write regularly for them) ran an excerpt of an address a graduating senior at North Star Academy Charter School gave to his classmates. Which is fine: all kids should be proud of their accomplishments and their schools (although it's a shame Spotlight has not, to my knowledge, published the excerpts of any other graduating senior's speeches -- especially students graduating in Newark). So why does that matter? Well, this past month Governor Chris Christie proposed a radical shift in the allocation of state aid for schools -- one that would slash funding and jack up taxes in urban school districts while giving the state's wealthiest districts, already paying relatively low effective tax rates, a huge infusion of state aid (I wrote about it for Spotlight here). I'll get to Academy Charter High and LEAP in due time; for now, let's concentrate on North Star. First of all, let's ask the obvious question: is an 18 percentage point difference really so impressive that it justifies slashing Newark's state aid by a reported 69 percent? Especially after Christie's own hand-picked state superintendents of NPS, Cami Anderson and Chris Cerf, have bragged repeatedly about Newark's rising graduation rates? As I pointed out previously, Christie shamelessly made up his spending comparison numbers; further, it's bogus to compare the district's total spending to the charter schools' spending when the district has costs like transportation for charter and public school students that the charters don't have to bear. 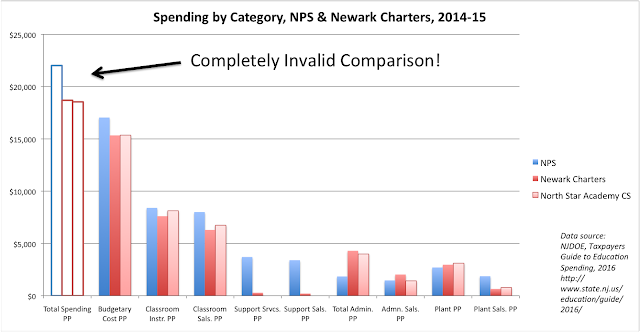 When looking at Budgetary Per Pupil costs, which the state itself says is the appropriate comparison, the difference between North Star and NPS is about $1,700 per pupil. 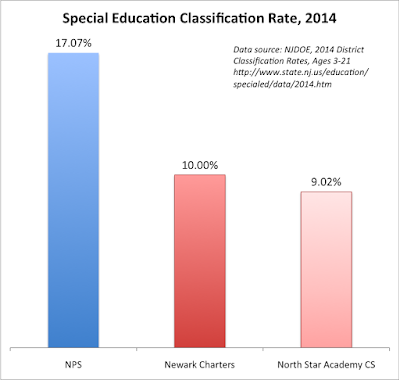 North Star has a much smaller proportion of special needs students than NPS -- and even Chris Christie admits special education students need more money for their education. Christie's argument is garbage: North Star's graduation rate in no way shows that NPS can sustain a huge cut in its budget. So while it's nice to reprint the graduation speeches of students -- and, again, all kids should be proud of their school -- it's more than fair to point out that a graduating senior's pride might be masking a larger truth that is directly relevant to a policy discussion occurring in New Jersey at this very moment. Which is what Julia Sass Rubin did in the comments section of the NJ Spotlight piece. Before I go further, let's get this on the record: Julia is a professor at Rutgers-New Brunswick where I am working on my PhD (she's in a different school and I've never had a class with her). Julia is also a founding member of Save Our Schools NJ, a group that believes that local residents should have a say in whether charter schools should be allowed into their communities, draining money from their local budgets. Julia and I co-wrote a report on NJ charter schools that got a lot of local charteristas in a snit, even though the report was almost entirely graphs, like the one above, showing (with publicly available state data) that charter schools in New Jersey do not serve the same student populations as their hosting schools. It's great that Aaron Caraballo-Ugaro was happy at North Star Charter. Apparently, that was not the case for many of his classmates. North Star graduated only 55% of the students who were in Mr. Caraballo-Ugaro's class in 5th grade (84 out of 153). North Star lost 61% of the Black males (30 out of 49), who were in the class of 2016. North Star lost 31% of the Black females (21 out of 68). And the students who attend North Star are very different than the students who attend Newark's public schools. North Star had ZERO English Language Learners vs 11% in Newark Public Schools. North Star had a 9% special education rate vs 17% for Newark Public Schools. North Star had a 69% Free Lunch rate vs 76% for Newark Public Schools. North Star students were 55% female vs 49% for Newark Public Schools. 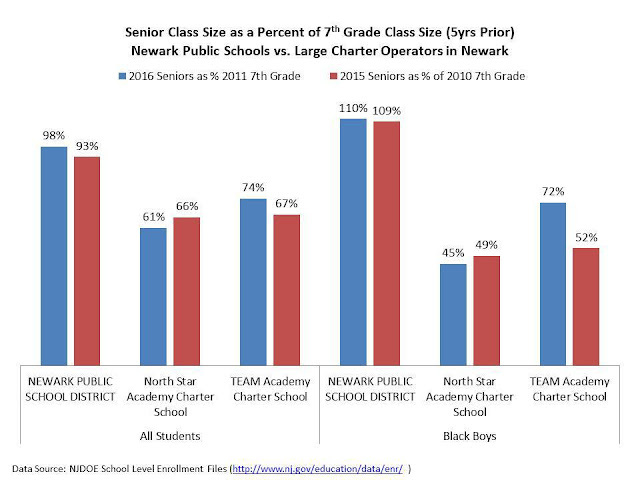 In evaluating North Star Charter School, it is important to keep in mind that North Star is educating a much easier population of students than Newark Public Schools and it is losing a very large number of those students on the way to graduation. That's it. That's the entire comment. Go back and check if you doubt me. Do you find this at all insulting to the young man whose words were reprinted in NJ Spotlight? Do you think Rubin was at all sarcastic? And do you think that the points she's making here are irrelevant given Christie's funding proposal, which had been introduced only two weeks before? Minutes later Julia Sass Rubin sarcastically rained on his and thousands of other Newark students’ parade. Let’s hope that Aaron and his college-bound classmates (100% of whom were accepted to 4 year colleges by the way) don’t end up in classes with professors like Rubin. Instead, we hope that his professors are objective people who can present facts to their readers and not selectively cherry pick some facts over others to try to push their status quo agenda that hurts urban kids like Aaron. First of all, someone needs to buy Waters a dictionary so she can look up the meaning of the word "sarcastic." Because no reasonable person could possibly think Rubin was sarcastic in her comment. This is so typical of the "tone" arguments the reformy side loves so well: somehow, if you dare to question the (largely self-reported) claims of charter "successes," you are going after those charters' students or teachers or parents. It's a cheap argument and so transparently dumb I'm embarrassed for anyone who makes it. What she doesn’t tell her readers is that North Star’s attrition is actually half of the Newark Public School system’s average. North Star loses about 10% of its students a year—while NPS schools on average lose 20% or more. The NPS rate is not surprising for an urban school district, but what is surprising is that Rubin, a university professor, would present a completely one-sided number and not even bother to compare it to a constant. Clearly it’s because she wants readers to think that North Star’s attrition rate is high rather than the truth—that North Star’s attrition rate is low—and other schools should be flocking to it to find out why. Now, that's a curious statement. Because I've been working with NJDOE data for a good long while now, and I can tell you that school-level attrition figures -- data that shows the rate at which students leave their schools -- are not available publicly (at least, I've never seen them). Where is Waters getting her data? She doesn't say (hold on...). In addition, whether a school "loses" students isn't really the important metric for this discussion. Yes, it's likely that NPS schools see a big turnover in students year-to-year, as schools enrolling a high proportion of students in economic disadvantage tend to see higher student mobility rates. This has a negative effect on student outcomes (Waters seems to believe schools can influence student mobility; I'd like to see some evidence that's the case). But leaving that aside, the real question here isn't mobility caused by family circumstances; it's whether North Star students are leaving and not being replaced with new students. I mean, we're always hearing about the long (unverified) wait lists for charter schools, right? Well, if kids are dying to get in, why don't they rush to take open spots once an enrolled student leaves? Why are North Star's cohorts -- the "classes" that move from grade-to-grade together -- shrinking? Enter Bruce Baker,* who just posted a series of updates on Newark's charter schools at his blog. Baker has been writing about the patterns of "cohort attrition" at North Star for a while now. What did he find in his latest data dive? Let's break this down starting with All Students. The NPS class of 2016 had 98 percent of the students that the same cohort had when they were 7th Graders. Were they all the same kids? Surely not, but as students moved out of the district, other students moved in. That would explain a high student mobility rate -- the one Waters tut-tuts about above -- but a fairly stable cohort size. At the same time, however, North Star's Class of 2016 shrunk, and shrunk, and shrunk some more, until they were 61 percent of the size they were in 7th Grade. If the wait lists to get into North Star are so long, why didn't the students on the list take the place of the students who left? Baker's also included the cohort attrition for black boys. Those numbers actually grew from Grade 7 to Grade 12 in NPS. But North Star's number of black boys shrank by half in the same time period. Again, if so many black boys are waiting to get into North Star, why didn't they take the place of the black boys who left? 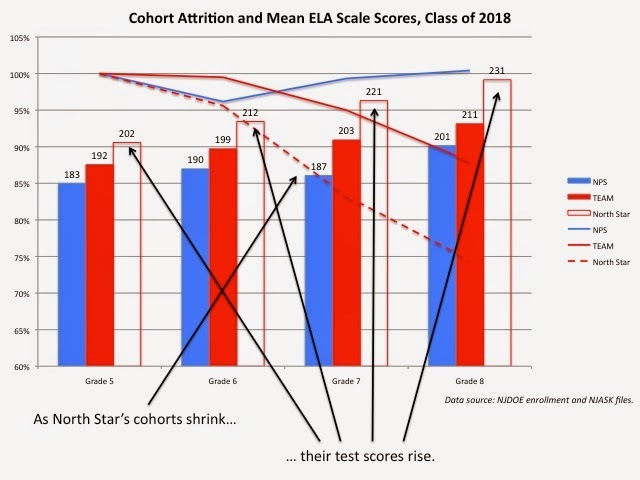 North Star's test scores tend to rise as their cohorts shrink. Now, what I've done here is actually a bit crude -- go to Baker's post to see a much more sophisticated version, which takes into account the shifting means year-to-year in test outcomes. Both graphs show the same thing: North Star's relative test scores rise as they shed students. Again, this is hardly definite proof of "cream skimming" -- the practice of cutting loose the students who struggle and then claiming superior results. It is, however, more than enough evidence to justify the release of student-level data (with the obvious privacy protections) to researchers to determine what might be going on at North Star. What do you think the odds are that Chris Christie's NJDOE will do that? Having botched up a defense of North Star's shrinking cohorts, Waters continues her missive with an attempt to explain away North Star's low special education and Limited English Proficient (LEP) rates. She claims, correctly, that there is great variety in NPS schools' LEP enrollment rates. But so what? Newark has several schools with high LEP rates; North Star isn't one of them. Isn't that entirely germane to any conversation about school costs and outcomes? She then counters Rubin's correct assertion that North Star has a comparatively low special education classification rate with a few anecdotes from North Star parents which just happened to be published in the op-ed pages of the Star-Ledger, the state's largest newspaper. Let me be clear: these weren't letters to the editor; they were full-length opinion pieces. One other story Waters links to is an NJTV news report that at least features a contrary point of view from the estimable Dr. Daniel Katz of Seton Hall. But the report also features Barbara Martinez, the Chief External Officer for Uncommon Schools, North Star's parent organization. According to Uncommon's tax forms (you can download them at Guidestar.org), Martinez is one of over a dozen managers at Uncommon making a six-figure salary. For those of you (like me) who aren't up on your corporate-speak, a Chief External Officer is basically in charge of marketing and PR. Someone who knows how to work the press. Someone who culls the data to create a favorable picture of product. Someone who knows how to get info out to friendly outlets and have them push the organization's brand. I ask again: where did Laura Waters get all of her data points? Look, I understand that any school -- public, private, charter, whatever -- is going to try to present itself in the best possible light. But facts are facts: North Star does not have nearly the proportion of special needs students as NPS. Waters can regurgitate all the op-eds she likes, but that's simply the way it is. - No, Laura, it's not the case that "the most commonly accepted marker of poverty in schools is free AND reduced price lunch." Those of us who take this stuff seriously know that FRPL is set at 185 percent of the poverty line, so it is technically inaccurate to equate eligibility for FRPL with poverty status. See Bruce Baker for an informed discussion of why this matters. By the way: Julia Sass Rubin never said "that reduced price kids don’t matter." That is yet another mischaracterization by you, Laura, of someone else's words. It's cheap and it's lazy and if Peter Cunningham, your patron at Education Post, really cared about having a "better conversation" he'd take you aside and tell you to stop. Because it really is obnoxious. - We have no idea how the children who stayed at Alexander School when North Star took it over may have improved on their test scores, because -- as I explained to Richard Whitmire -- North Star's test scores are reported in the aggregate and not by individual school. We further don't have any publicly available data on how many students stayed and whether the students who stayed differed from the students who left. And no, I don't trust data released by North Star itself -- any more than I trust McDonalds to tell me how much better people like their burgers than Wendy's. I've spent more time answering Waters' post than it deserves; however, I'm doing so this time for a reason. Chris Christie has proposed a radical change in school funding -- one that even Peter Cunningham agrees is pernicious for this state's neediest children. Yet how does Christie justify his plan? With stories of charter school "success." And who has sold this tale? Laura Waters, Peter Cunningham, and the well-heeled charter school operators themselves. In their zeal to pump up charters and shoot down honest critics like Julia Sass Rubin, these fine, reformy folks have set up the students who attend New Jersey's urban, public, district schools for a huge cut in their schools' budgets. I've said this before and I'll say it again: I don't ever pretend that I don't have a point of view. I'm a New Jersey public school teacher and I am damn tired of being blamed for things completely out of my and my colleagues' control. I think the celebration of charter school "success" is largely a pretext for beating up teachers unions, gutting teacher workplace protections, and cutting back even further on public school funding, particularly in urban districts. I think charter cheerleading keeps us from having a real conversation about the structural problems related to race and economic inequality in America. 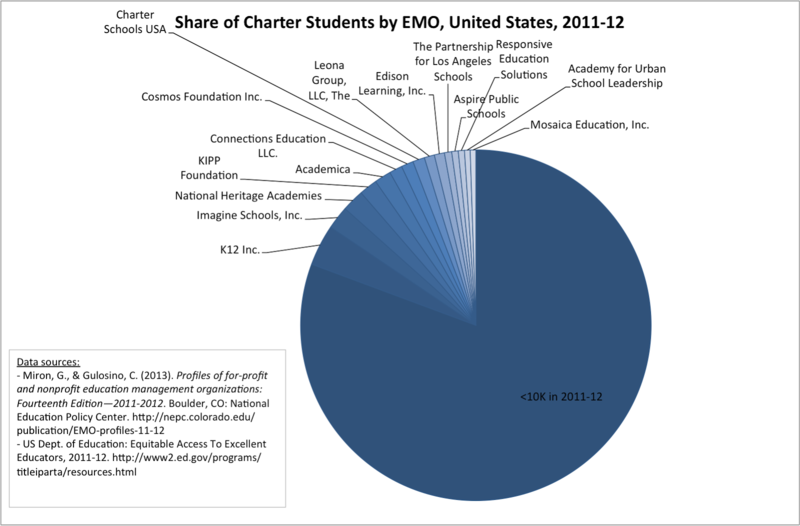 But now we're seeing the consequences of unbridled charter love are even more dangerous than mere charter expansion. Charlatans like Christie are using the very arguments charter cheerleaders spout daily to make the case that we can simply turn our backs on urban schools and their students. So long as a few charter schools get better than average test scores -- by whatever means necessary -- it's perfectly fine to cut the budgets of urban district schools. This awful rhetoric can be laid directly at the feet of the charter industry and their willing saps in the media -- and that includes the professional reformy propaganda machine that exists solely to counter informed critics like me or Bruce Baker or Julia Sass Rubin. I won't speak for Bruce or Julia, but I'm pretty sure they'd agree with me when I say this: I am not against school choice or charter schools per se. I started my K-12 career in a charter school. I think there are worthwhile reasons for having charters and other forms of alternative schools. I have been teaching long enough to know not every kid is going to fit well in her neighborhood school, and that there are good reasons to offer other choices. I think there are charters that have practices that may well be worth studying. So folks like me and Bruce and Julia may have a point of view our opinions, but we aren't questioning charter cheerleading simply as a reflex; our criticisms are reasonable and informed by the evidence. Do you disagree? Fine, I'm happy to debate. But understand: your ill-informed, statistically-inept charter cheerleading is no longer simply about justifying your own school; it's now being used to excuse a wholesale defunding of our urban public schools. Do you really want that on your hands?